With gorgeous depth of color, this pear shaped tanzanite is enhanced by the diamonds set on the shoulders of this 14k white gold ring. 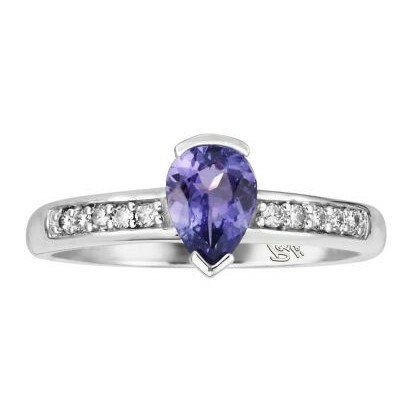 Tanzanite is the contemporary birthstone for December, though it makes a lovely gift any time of year! 0.75 CT Tanzonite 0.08 CT TW Diamonds.